Margarett Sample is an Intuitive, Channel, Spiritual Counsellor, Reiki Master (in both the Usui and Tibetan traditions) and Rainbow Energy Therapist. She has been doing readings for Everwood clients for over ten years. A reading with Margarett will bring Spirited Insight from her guides, your Guides, Angels, and your loved ones who have crossed over. Readings help clients to connect, heal, achieve closure and a sense of peace, and help in growth and moving forward. Margarett provides connection with your loved ones, and offers spiritual guidance with compassion, gentle humour, and understanding. She helps you to understand yourself, your gifts and challenges, to face your truths, to de-stress and to heal. Margarett also offers Reiki workshops and attunements to small groups at Everwood, and often offers Spirited Discussion Group nights here. 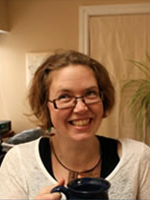 Nancy became a certified reflexologist in 2002 by the Ontario College of Reflexology. 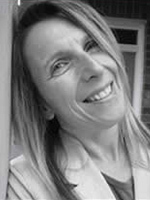 Her passion for Reflexology led her to treat clients of all ages and genders for specific ailments such as pain management, head aches, cancer care treatments, hormonal imbalances, insomnia and general relaxation just to name a few. Nancy believes that most illnesses are caused by stress and by removing stressors the body can begin to heal it self. 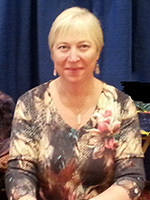 Nancy is also a practioner of Indian Head Massage, is a certified Reiki 2 practitioner, therapeutic touch, studied eft, practices Donna Eden Black Pearl technique, has completed a segment of the vibrational healing technique ; Complete Cellular Mind Body Alignment and became a certified 5 Tibetan Yoga facilitator under Deyki Lee Oldershaw. Nancy has the ability to utilize what she has learned combined with her strong intuitive ability and compassion to create a unique, personalized healing experience. 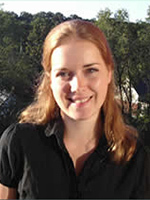 Katarina is proud to be joining Everwood Wellness as a Third Year Student of Rehabilitative Manual Therapy. Her journey began as an Emergency Medical Responder graduating with honours in her Firefighting Degree from Northern College in Timmins, Ontario. This began her 15-year career in emergency response that ranges from firefighting to emergency communications, to hazardous materials and ends with a 3-year love affair with speciality coffees. Katarina herself vouches for this manual approach to physical treatment, having herself struggled to find solutions to her health problems through traditional allopathic medicine. Since first learning of the gentle, focused healing that can be accomplished with noninvasive, hands-on therapy, she has thrown herself wholeheartedly into her work and is just as excited about your health as you are. 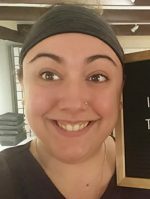 Book your Rehabilitative Manual Therapy appointment with Katarina today!